Property 5: Wonderful house in Porto de Galinhas: 4/4, GREAT location! Property 7: House, 4 rooms in condominium with pool, sauna, whirlpool and grills. Monteiros Residence-Live good, pleasant moments in privacy and security. Property 12: Monteiros Residence-Live good, pleasant moments in privacy and security. House with 2Qts (with air) / 1ste in the Center of Porto de Galinhas, near the beach! Property 14: House with 2Qts (with air) / 1ste in the Center of Porto de Galinhas, near the beach! Property 19: BEACH FRONT! VIEWS! BREEZE! 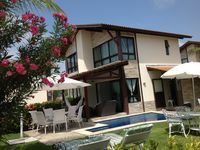 Beautiful home one block from the beach of Porto de Galinhas with 3/4! Property 23: Beautiful home one block from the beach of Porto de Galinhas with 3/4! Property 24: Home to rest. Property 26: DUPLEX IN CONDOMINIUM WITH POOL. Property 30: "Piece of Good", beach front , very private, great beach! natural pools. Maracaípe sea border - Porto de Galinhas Beira Mar. Property 34: Maracaípe sea border - Porto de Galinhas Beira Mar. House with great location 150 meters from the natural pools and the center. Property 48: House with great location 150 meters from the natural pools and the center. Great vacation in a beautiful paradise! Very nice house in a very nice villa, I really enjoyed my stay... easy access, clean house, in the nicest part of Porto in my opinion. Also, Nalva the cook was very nice and is a great cook! What a wonderful experience we had at this beautiful beach side bungalow. The house is exactly as advertised- clean, comfortable, private, safe, well stocked and perfectly situated on the beach. 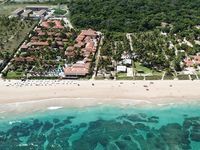 It is within walking distance to a couple nice ocean side restaurants and bars and just a short car ride to all the activities of Porto de Galinhas. Our host, Andre, was very attentive and full of great stories about this property which has been in his family for over a century. Much of the decor is taken from the area and from family history creating a truly immersive experience. As authentic as it was, we also had all the conveniences of the modern world, including contemporary bathrooms, appliances, cable and internet service. We couldn't have asked for a better space to relax, rejuvenate and spend time together as a family. We give this jewel of a rental the highest marks! Thanks Andre, we hope to be back soon!